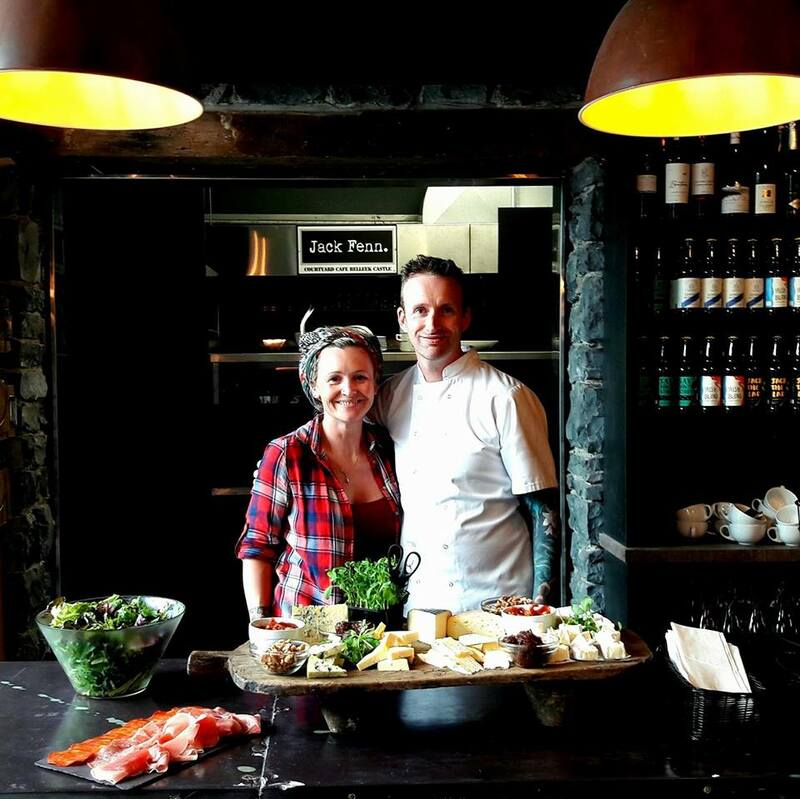 Great news for Ballina as a brand new foodie destination set in Jack Fenn’s Courtyard at Belleek Castle, opens to the public. Who was Jack Fenn ? There once was a smuggler called Jack Fenn! Who got himself into a tight spot! Jack bought a passport from an Irishman called Marshall Doran and bought himself a castle! Come visit Jack Fenn’s cafe which is just as intriguing as Jack was! and make sure to find out the FULL Version of Events. For Updates and Events happening in Jack Fenn,s Courtyard like there Facebook ,Twitter and Instagram Pages. Belleek Castle was built between 1825 and 1831, on the site of a medieval abbey, one of four along the River Moy. Belleek was commissioned by Sir Arthur Francis Knox-Gore. The manor house was designed by the prolific architect John Benjamin Keanes, and the neo-gothic architecture met the taste of the time, when medieval styles became fashionable. The Knox-Gores lived in Belleek until the early 1940’s. Marshall Doran, a merchant navy officer and an avid collector of fossils and medieval armour, acquired the run down property in 1961, restored it and opened it as a hotel in 1970. Some of the rooms are in 19th style, whilst most of the interior design has a medieval and nautical touch. Marshall, being quite a craftsman, did a lot of the work himself, assisted by John Mullen, and supervised the restoration expertly. Today, the Castle is managed by Marshall’s son Paul Doran and Ms. Maya Nikolaeva. 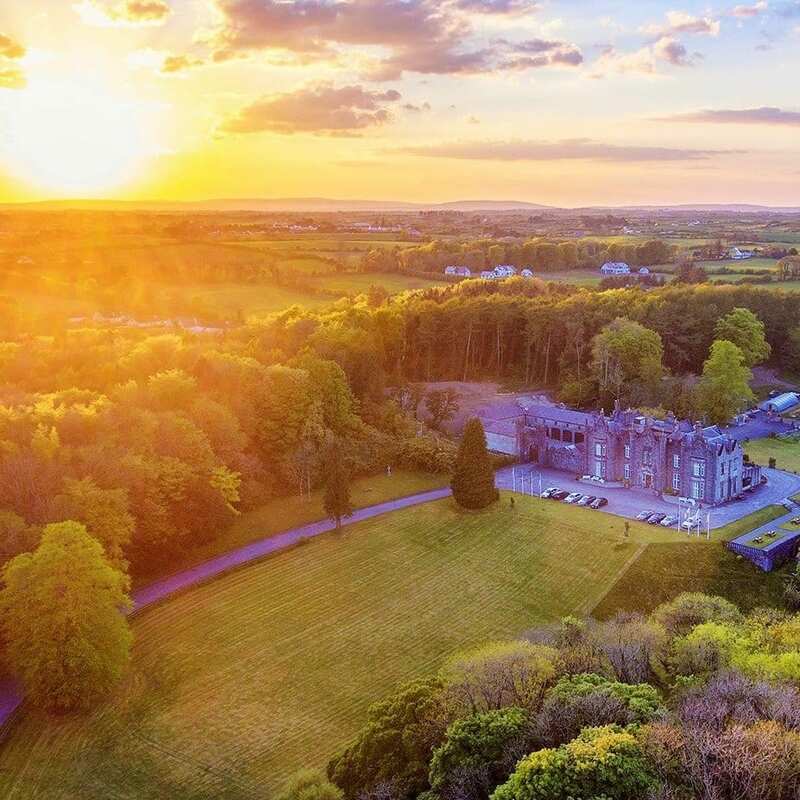 The Belleek Castle Tour includes an explanation of the origins of the Castle and the history of its former owners, the Knox-Gore family, the Earls of Arran. You will see private dining rooms, decorated in opulent romantic style, as well as the Medieval Banquet Hall, the Spanish Armada Bar and the Tween Deck. The highlight of the tour will be The Marshall Doran Collection, which is one of the finest collections of arms and armour, fossils and antiques in Ireland. You will also see the Grace O’Malley room and the last wolf shot in Connaught. For more information, simply ring +353 96 22400. You may also check our Facebook Page for updates and Trip Advisor for reviews. Castle will close to general public at 5pm. Belleek Castle offers an authentic Castle Experience from Tours, Events,Weddings and overnight stays for more details go to Belleek Castle.